special occasion! It's light and airy, full of flavor, and so simple to make! 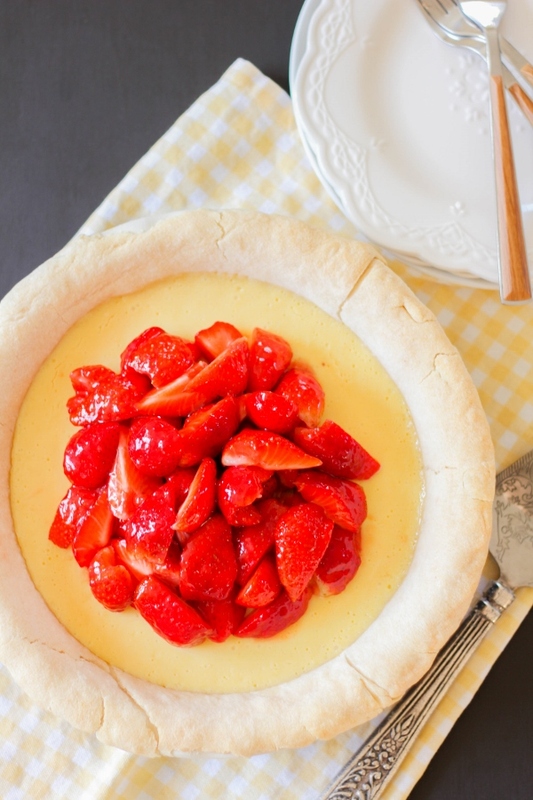 This incredibly delicious pie couldn't be easier to make. 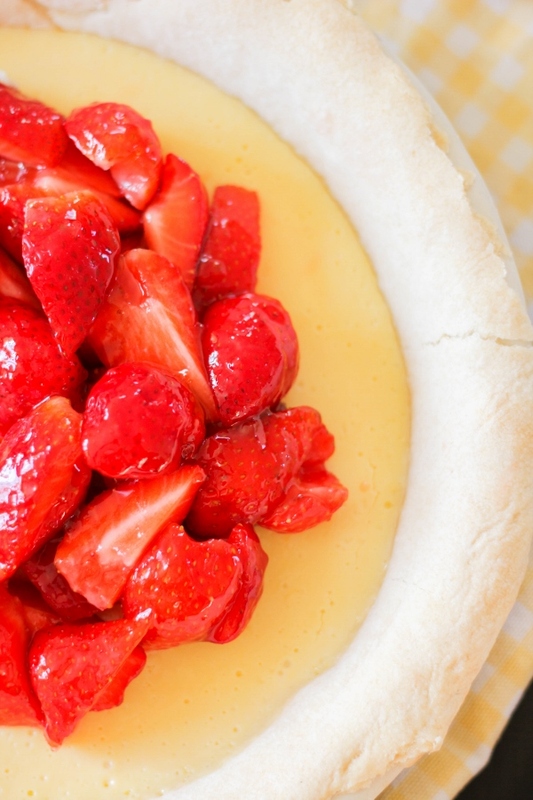 Feel free to use homemade or store bought pie dough (I used store bought because dough and I have issues), make a super decadent lemon curd for the filling, then top with gorgeous fresh strawberries. So simple yet so incredible. 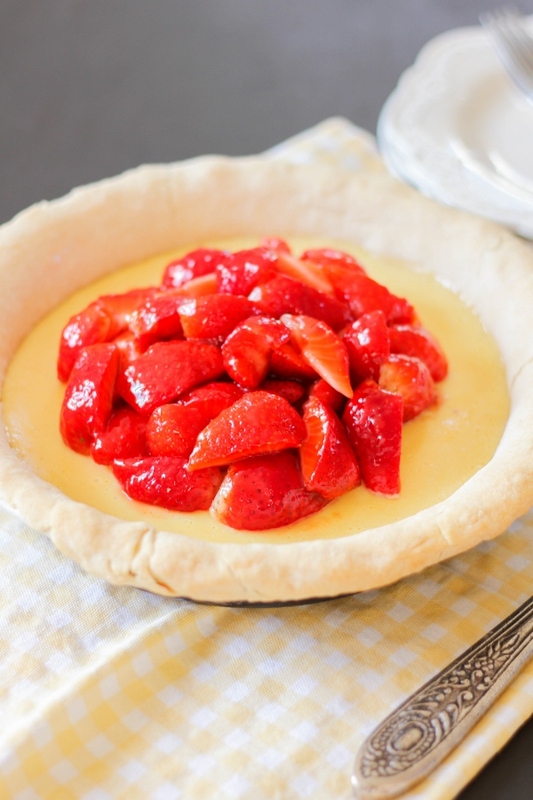 This pie is perfect for any special occasion, holiday, or just for dessert for the family. No matter who you serve it to, I guarantee it will be gone in no time. In the bowl of a stand mixer fitted with the whisk attachment, beat the egg yolks until they become light and pale, about 3 minutes. With the mixer on low, slowly add the sweetened condensed milk and beat until combined. Add in the lemon zest and juice and the buttermilk and mix well. Pour the mixture into the prepared crust. Bake the pie for 25 minutes or until the center is set. Cool the on a wire rack until completely cooled. Cover the pie and refrigerate for at least 4 hours. In a small bowl, microwave the strawberry jam for 30 seconds. Pour the jam over the sliced strawberries and gently mix well. 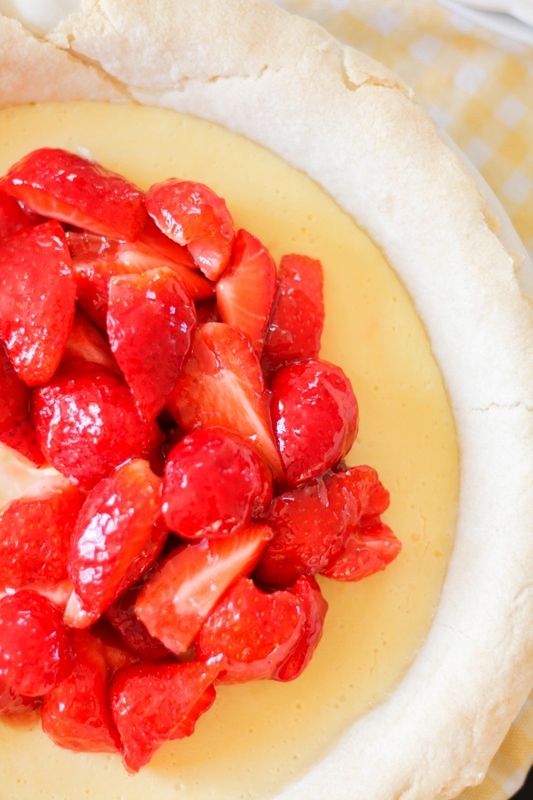 Top the pie with the strawberries before serving.